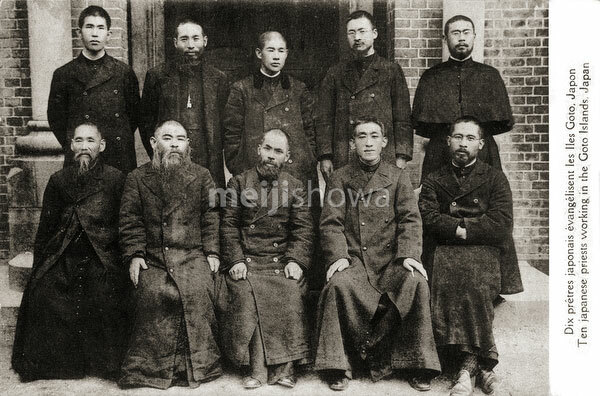 Ten Japanese Catholic priests working on the Goto Islands. In the 17th century Japanese Christians escaped persecution by going underground. They were rediscovered when Christianity re-entered Japan during the second half of the 19th century and became known as “Kakure Kirishitan” (Hidden Christians). The Catholic Church paid a lot of attention to them.